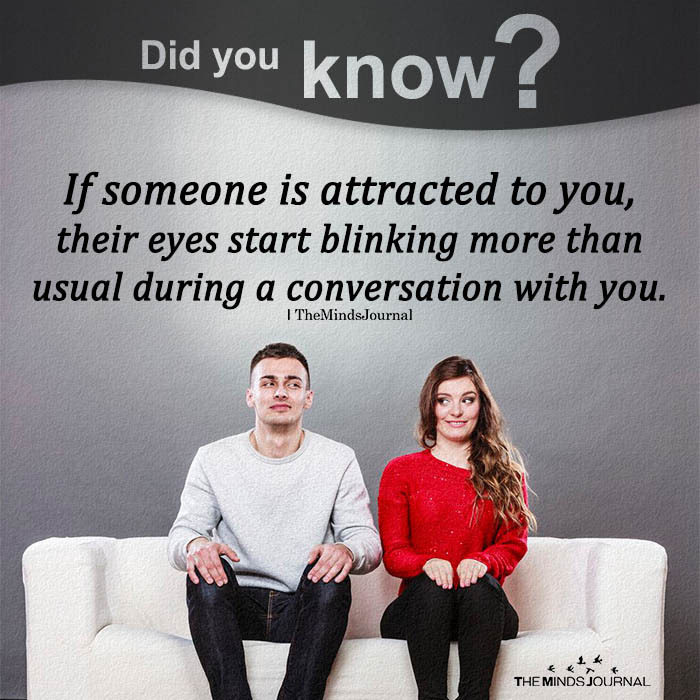 If someone is attracted to you, their eyes start blinking more than usual during a conversation with you. Ashleigh Reese Berryman……………..don’t say a word. Maybe they have something in their eye.